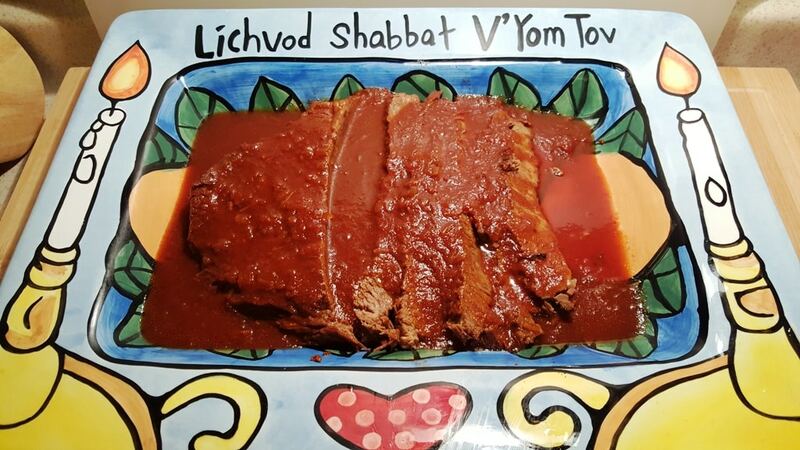 Pressure Cooker Friday Night Shabbos Brisket is perfect for Friday Night Shabbat Dinner. Cooks in only one hour, leaving you plenty of time for Shabbos. When you are in a rush to prepare a Shabbos meal and you forgot to plan your dinner menu, this Pressure Cooker Friday Night Shabbos Brisket is for you. 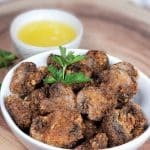 The sauce can be made in advance and frozen in a freezer container with the brisket. You can pull it out of the freezer and place into the refrigerator a day a head to defrost. 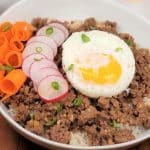 You can plop it right into the Pressure Cooker or Instant Pot, an hour before Sundown. 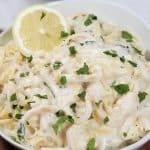 If you forget to pull it out of the freezer to defrost, just plop it frozen into the Pressure Cooker or Instant Pot and set the time, to be ready before your Shabbos meal. Obviously, you can serve this Brisket any day of the week. I just named it Pressure Cooker Friday Night Shabbos Brisket, so as not to confuse this recipe and my Passover Brisket, which is made in the traditional style with prunes and apricots and carrots. 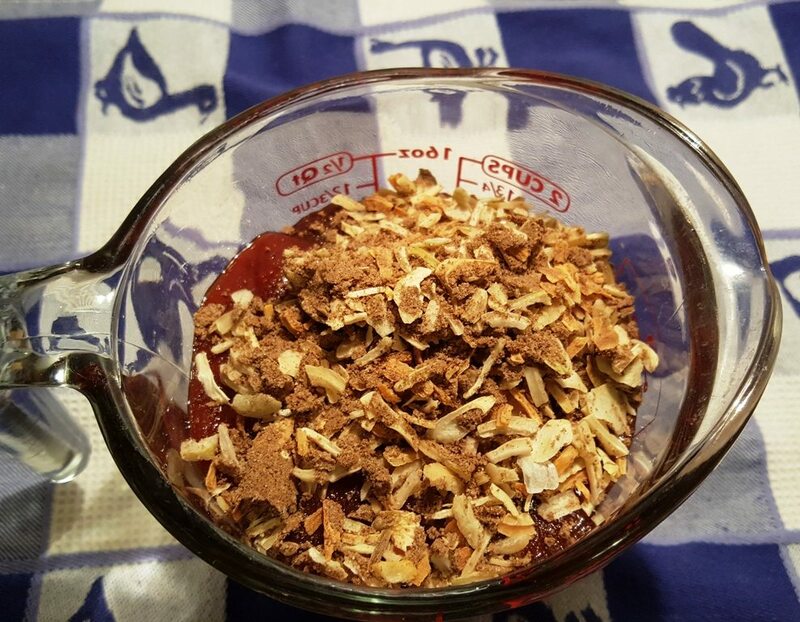 A while back, I saw this recipe on The Pioneer Woman and thought I would give it a try. It was easy and great in the oven, but it takes all day. Brisket is a tough cut of beef and Pressure Cookers are meant for tough cuts of beef, so, I knew this would be perfect for my Pressure Cooker. I’m not sure why Ree calls this a Passover Brisket. 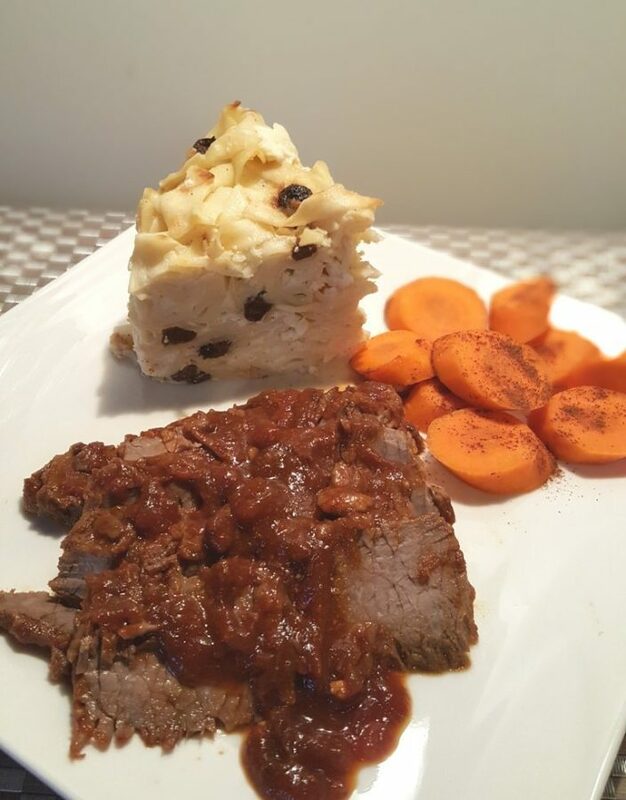 A traditional Passover Brisket is made with prunes and apricots. To me, this is an every day or Shabbos Brisket. I will most my Passover Brisket in the next few weeks. Three ingredients are all that is needed. The Brisket, of course. Three pounds is a nice size, but if yours is bigger and it fits, no worries. You can always add more of the sauce ingredients if you like. 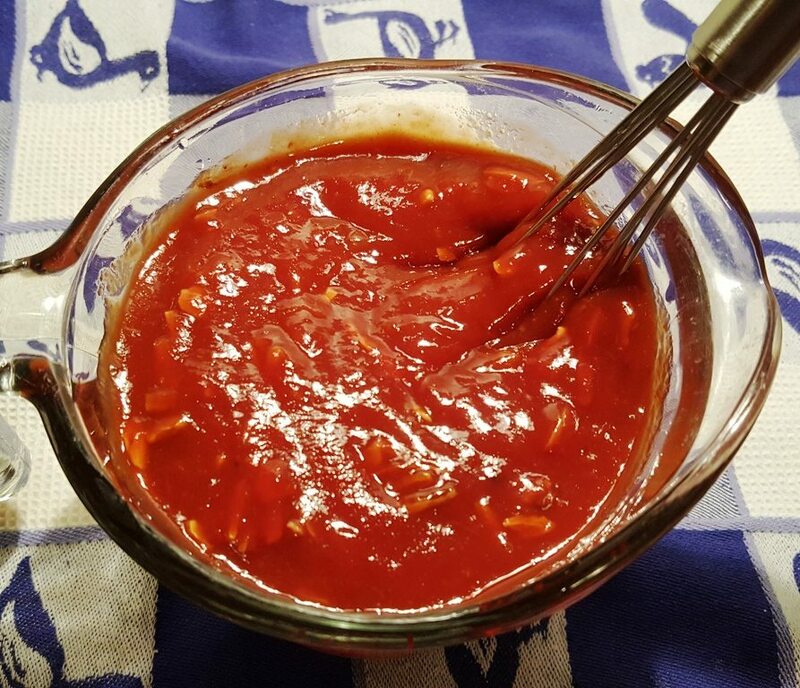 Ketchup and Heinz Chili Sauce taste work equally as well, so chose your favorite. I usually use Heinz Chili Sauce. For those that keep Kosher, Lipton makes a Kosher Onion Soup Mix! 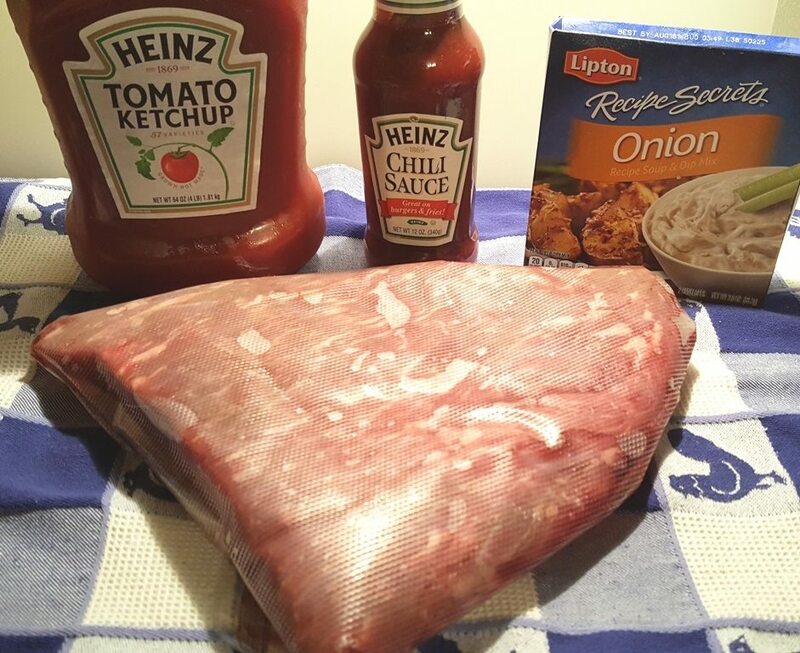 Take a Large Measuring Cup and pour in Heinz Ketchup and/or Heinz Chili Sauce and a package of Lipton Soup Mix. It is really hard, so try not to break a sweat. 😉 You can use one or the other, or a combination of both. Whisk up the sauce until completely combined. 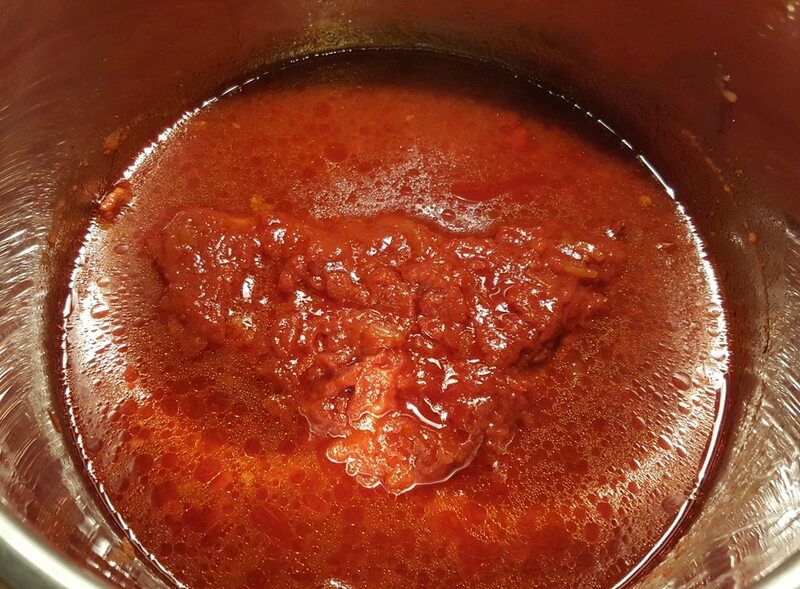 Since Pressure Cookers don’t reduce liquid, just add a half cup of water to the sauce, so that your Pressure Cookers will come to pressure. This is totally a freezer meal. When you see Brisket on sale, stock up. 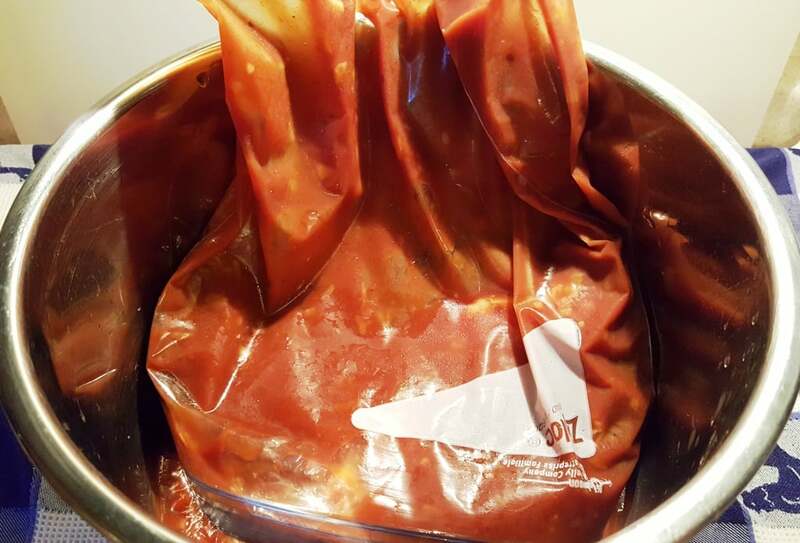 Prepare your sauce and freeze it with the Brisket right in Ziploc baggies, until you are ready to cook. Alternatively, we use a FoodSaver Vacuum Sealing System and stock up when meat is on sale. Instant and marinated Pressure Cooker Friday Night Shabbos Brisket, all ready to go in your freezer. If you take out the brisket the day before you want to cook, it will marinate throughout the night and the next day. Now, here is where it gets tricky. 🙂 Open the bag and dump it right into the Pressure Cooker cooking pot. Yep, that’s it. Were you waiting for more stuff to do? Nope, nada. Dump it in and close the lid. Go relax, dinner is cooking. Remove the Pressure Cooker Friday Night Shabbos Brisket from the Pressure Cooker. Don’t turn off the Pressure Cooker. Slice the Brisket in the opposite direction of the grain. It will be very tender and fall apart. That is a good thing! Carefully place the slices back into the Pressure Cooker to keep warm until it is time to serve. The sauce will thicken a bit. Or, place the slices on a serving tray. If you want a thicker sauce, allow it to simmer while you slice the Brisket. Watch it though, the sauce will get super duper thick, really fast. Pour the sauce over the Brisket and serve. Shabbat Shalom! Don’t forget to make your Pressure Cooker Jewish Noodle Luchen Kugel while your Brisket is marinating overnight in the refrigerator. Mix together Ketchup/Chili Sauce, Onion Soup Mix and water. 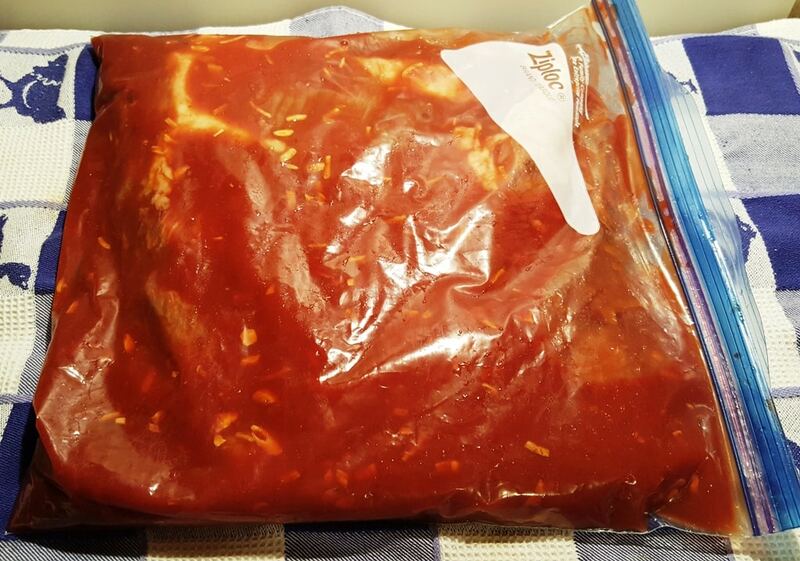 Place Brisket and sauce mix in Ziploc Freezer Bag and refrigerate overnight. Add contents of Ziploc Baggie to Pressure Cooker cooking pot. Remove Brisket from Pressure Cooker, making sure the Pressure Cooker is in "Keep Warm" mode. Slice the Brisket on the opposite side of the grain. 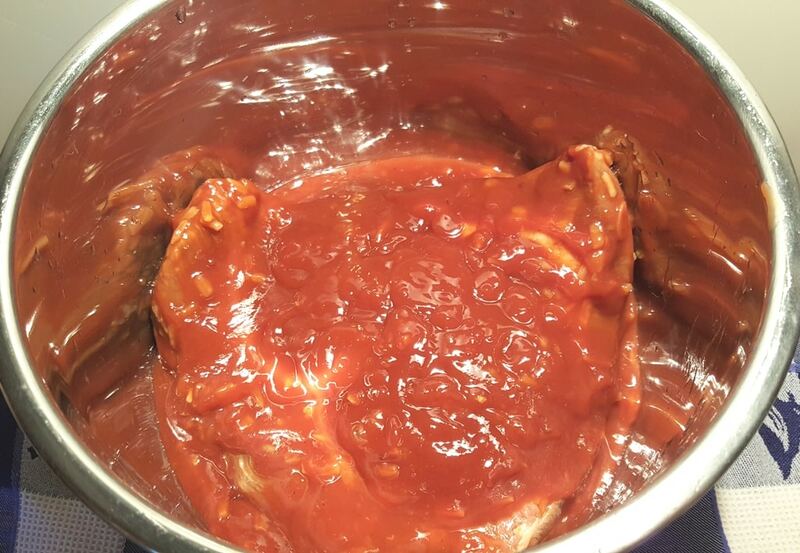 Carefully return the Slices of Brisket to the sauce in the Pressure Cooker to keep warm until it is time to serve. If serving right away, place the Brisket slices on a serving tray. If you want a thicker sauce, allow it to simmer while you slice the Brisket. Watch it though, the sauce will get super duper thick, really fast. Pour the sauce over the Brisket and serve. 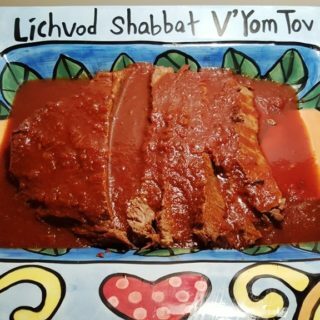 PIN this Pressure Cooker Friday Night Shabbos Brisket! I have a brisket recipe that calls for a myriad of spices for a dry rub overnight marinade (then seared before cooking). Then into the oven low and slow with canned tomatoes, chili sauce, and a cup of cola. I’m wondering if I can adapt this recipe for the IP. Maybe the cola should be flat for the IP. What do you think? I’ve used beer with my brisket in the IP and it’s been totally fine. No need to worry about the carbonation (I did the first time, but it hasn’t been an issue). Enjoy! Hi Jill. 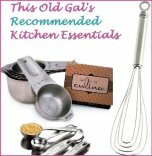 How do I do the pot in pot potatoes for mashing g with the brisket ? If I’m cooking a 9 lb brisket, do I need to increase the time on the Instapot? 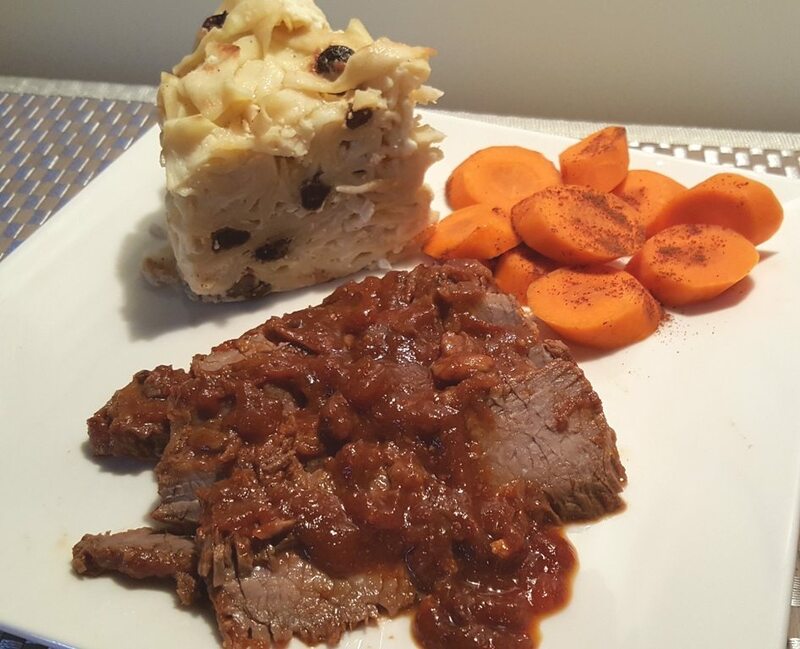 Could you add potatoes and carrots to the pot to cook with the brisket? How would you go about that? Add on top, or to the bottom, before the meat? Or after the meat is done, add to the pot with the gravy/sauce and cook additional time? 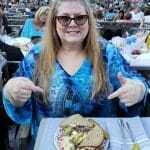 Sorry for all the questions – very much a newbie here, and I’ve only ever done brisket in the crockpot or oven! 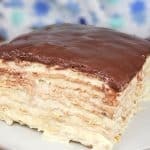 Do you have a version of Kugel that isn’t sweet? My Grandmother made Kugel with wide egg noodles, eggs, sautéed onions and Garlic and butter, salt and pepper. It was always so good with the top crunchy from baking in the oven. Hi Jill. 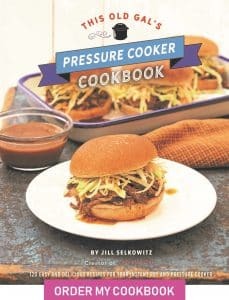 Did you ever post a Pressure Cooker Passover Brisket recipe? I can’t seem to find it on your website.